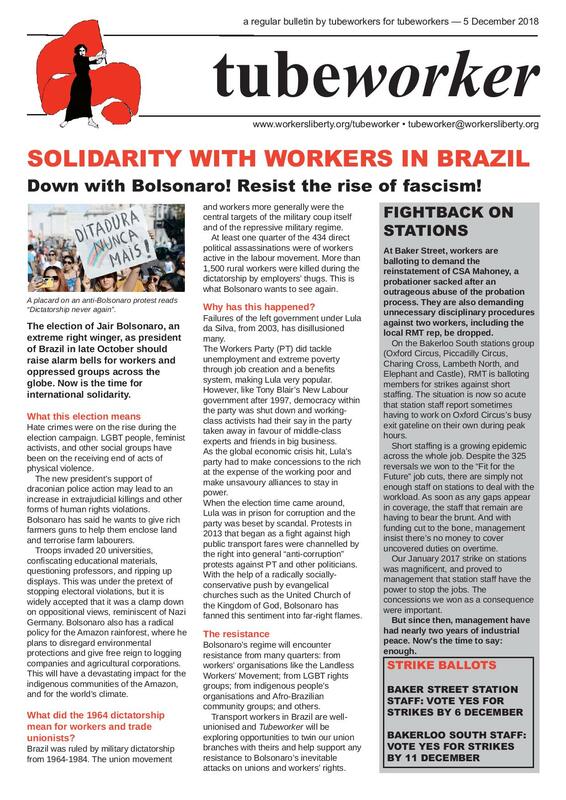 The latest edition of Tubeworker, a socialist industrial bulletin for London Underground workers, by London Underground workers. Click here, or on the image above, to download the PDF. Tubeworker — 28/03/2019: Stand up to Nationalism, Defend Migrants' Rights! A printed bulletin for distribution at workplaces. Tubeworker — 04/03/2019: Support the School Students' Climate Strike!